You may have noticed that there’s a bit of a ‘fight’ going on over the cholesterol-reducing class of drugs known as ‘statins’. I am simplifying here, but there are essentially two opposing camps. In one corner, there are those doctors and researchers who hold the view that the statins should be given to pretty much all adults from middle-age, and there is little to be concerned with regarding their safety. In the other corner, there are those who believe that statins do no good at all for the vast majority of people who take them, and that the side-effects are more common that ‘official statistics’ suggest. The fight went up a notch last week when the editor of the British Medical Journal announced that remarks made in two BMJ articles about the side-effects of statins had been withdrawn . One of the articles was written by Dr John Abramson from Harvard Medical School and colleagues, and principally questioned whether extending statin use to those at lower risk (as has been suggested by the National Institute of Health and Care Excellence) will save lives . According to their analysis, it won’t. The other piece was written by UK cardiologist Dr Aseem Malhotra, and principally questioned the role of saturated fat in heart disease . In both articles, the authors referred to a study  that found that 17.4 per cent of people taking statins had adverse effects as a result attributed to statins. In the articles this figure was expressed as 18 per cent or ‘about 20 per cent’ which, apparently, was the first error. However, other issues, according the BMJ, was that the authors claimed that the 17.4 figure related to the percentage of people who stopped statins (at least temporarily) due to side-effects – this is not correct (it represented the percentage of people who had adverse effects). Also, the study in question was ‘observational’ in nature, which means that we don’t know if the adverse effects are due to statins or are the result of the ‘nocebo’ effect (like a placebo effect, only with negative effects rather than positive). The Editor of the BMJ, Fiona Godlee, tells us in her editorial that the caveats concerning the observational nature of these findings should have been made. Both the articles made it through the peer-review process, so how did these errors come to be picked up? Well, apparently, they were brought to the attention of Fiona Godlee by Professor Sir Rory Collins, who heads up what is known as the Cholesterol Treatment Trialists (CTT) collaboration based in Oxford, UK. The CTT holds data on statin studies and periodically assesses it to tell us that statins are safe and very effective. However, the CTT has in the past made grand claims about the effectiveness of statins that are based on the extrapolation of data (rather than actual data). Plus, as some have pointed out, the CTT refuses to release its data for independent inspection. The CTT can basically say what it likes about the effectiveness and safety of statins, but no-one can challenge what it says because no-one else has access to its data. Apparently, Professor Sir Collins was invited by Fiona Godlee to put his concerns in writing for publication but he refused. He and Fiona Godlee met, and this set the ball rolling which culminated in the withdrawal detailed above. However, apparently this is not enough for Professor Sir Collins: he is demanding retraction of both articles, even though he has not challenged the main points raised in the articles. Fiona Godlee has set up an investigation to determine whether or not the articles should be retracted. I have written to the BMJ in the form of an online ‘rapid response’ that was posted yesterday. You can read my response here. In my response I accept that errors were made, but ask if a simple correction might have done. Professor Sir Collins bases his assertions regarding the safety of statins on data from randomised controlled trials, like the ones analysed by the CTT. However, there are many reasons why randomised controlled trials may not adequately identify and report adverse effects from statins. Fiona Godlee acknowledges this herself and lists some of the issues, and I add to that list in my response. In all, there are about a dozen reasons why randomised trials stand to ‘miss’ adverse effects. I also raise the issue of a recent study which appeared to confirm the safety of statins . The study also detailed many reasons why results from clinical trials are an unreliable assessor of side effects. The study was reported in the BMJ , but the report included none of the caveats listed in the paper (or any other ones). As I explain to the Editor, these omissions may lull individuals into a false sense of security, and put people at unnecessary risk of adverse effects of statins, some of which can be serious. You can read the response in full here. If you agree with the sentiments expressed in it, please click on the ‘thumbs up’ symbol to the right of the response to log your agreement. Fantastic response. I didn’t realise that the BMJ letter by Dr Malhotra was also being targeted. It seems very pedantic to make such an issue over such a small thing but I wonder if focusing on a slight inaccuracy in this way serves to conveniently detract credibility from the whole article. It would certainly be nice if someone not from the ‘statins for everyone’ camp was afforded the same influence as Prof Sir Collins. Unfortunately the cynic in me doubts this will happen. As ever, a clear and concise response to a reprehensible bullying attack which the BMJ should have ignored: It is also useful to read the other 25 replies to the BMJ article! and as Dr Healy’s article, also published today, is so very relevant to all of us, could we all perhaps find our collective voices & take a copy to our doctors’ surgeries before not only ‘statins for everyone’ but ‘drugs regardless for everyone’ destroys us all. The level of influence being exerted to impose what amounts to retrospective censorship to the rightful expression of dissent is alarming, and we now have two instances arising almost contemporaneously on either side of the globe – in this Godlee/Collins affair linked to the BMJ, and in this Catalyst/ABC matter involving Mark Scott. That Rory Collins can exert so much influence to stifle debate is concerning. Where something so important as statin therapy, and an aberrant fat/cholesterol hypothesis based upon junk science is concerned, and the scope for side-effects of a class of drug whose manner of action is quite indiscriminate, the expression of dissent and the promotion of debate is a must. A fine line exists between folly, ignorance, and enthusiasm, based upon aberrant premises and beliefs, and fraud and criminality. Until lately I would have given the Collins and Baigents of this world the benefit of the doubt and explained their stupidity as being down purely to ignorance, but Collins actions in this have trended much closer to that fine line that delineates folly from criminality. Of course, what ranks as criminal, and what does not, can sometimes be tricky to establish. Ah the level playing field, a place where all are treated equal, though I suspect some are to be more equal than others. This is a classic tactic drawn from the coffers of the legal profession – cast doubt on the accuracy of just some small part of the content (no matter how small) and you can put doubt on and distract from the main thrust of the argument by having it removed as credible evidence. John Yudkin I suspect knew all too well how that felt…. Thank you for explaining what the published papers actually do say – I’ve had difficulty finding anything on line other than the criticisms! I’m probably not the only person to wonder whether, when financial interests might be adversely affected by new research, there is sometimes a disproportionate reaction to minor details – maybe to seek to discredit the whole research and thereby bury the important aspects of the research? I covered some of the obstacles to widening the use of statins in the UK in a blog published on the BMJ website. What do you make of the comments from Sir Magdi Yacoub? Don’t think he understands the literature, otherwise I think he’d have to acknowledge just how ineffective statins are for the vast majority of people. With all due respect, I think Sir Magdi should probably stick to surgery. Prof (really ??) Rory Collins is £100,000,000 Big Pharma Whore. How does he sleep at night. I heard Sir Magdi Yacoub speak on last Saturday’s “Today” programme on Radio 4. I got the impression that he had been wheeled on as a “big gun” for the pro statin side as he was very dogmatic and not a particularly convincing speaker. As Fiona Godlee says the independent panel investigating retraction will consist of people with “No dog in this fight”. Incidentally, does Sir Magdi still do heart transplants at the age of 76. 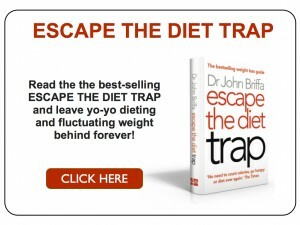 The “escape the diet trap” book confirmed everything the NHS was pushing on me was wrong. I have just itemised a list of the facts I perceive as most salient in exposing the fat/cholesterol hypothesis for equating to the cloth of the finest silk from which the emperors new clothes were fashioned. The number of salient points runs to 39. Some reveal the lie in the fat/cholesterol hypothesis. Some show the folly in the delivery of retrospective censorship applied under the duress of ‘pressure from eminence. One pertains to Keys abuse of data on saturated fat and mortality exposed by Yerushalmy and Hilleboe. One pertains to the confounding error present in the work of Anitschkov & Chalatov as exposed by Hideshige Imai et in 1976. The presence of oxidised cholesterol better accounts for the development of atheromas in cholesterol-fed rabbits than does the cholesterol itself. Together they leave little doubt that consensus can be derived badly and without suitable editorial standards being applied (that how lies become established as consensus) and some of their number direct that if a consensus can be derived badly then the right to attempt to express dissent and yet fall short of perfection ought to be upheld and defended. Where the consensus is so (bloody) wrong dissent should not have to be so perfect. I very much doubt that Sir Rory Collins preparation for his meeting ran to assimilating all these 39 facts or to sharing them with Fiona Godlee, In fact I doubt he’s considered the pertinence of even just one amongst their number. I am about to write to Fiona Godlee and In the letter I will request that I am accorded the same rights to her time as Sir Rory Collins. I will say plainly it would be remiss of a person in her position if she were to deny herself the opportunity to be presented with 39 facts Sir Rory Collins would have no incentive, nor no interest, in bringing to her attention. Abramson et als dissenting voices were justified, even if mistakes crept in or not all salient points or findings were recalled. The case being made for lipid modification (the policy on statins) is underpinned only by an almost total absence of evidence but a a heavyweight presence of eminence. Lowering the threshold makes no sense whatever. No. 19 on my list reads along these lines .. Aseem Malhotras piece (Saturated fat is not the major issue – BMJ) fell wide of certain pivotal facts by a country mile, but it was essentially correct in its broad assertions. It indicated (I’m sure I recall) that risks of oxidation and oxidative stress or ‘inflammation rise with overconsumption of certain PUFAs (and not with saturated fats) – which is a direction I would not challenge, and overall it was a breath of fresh air in an atmosphere otherwise polluted by rank delusion. These medications are supposed to be taken long term – for the rest of your life. Does anybody know how long – the longest – study is? Are there studies that, specifically,look at adverse effects? Are there long-term studies on middle aged and older people, men and women? Are there unbiased studies on these subjects? My mother was put on simvastatin when she was over 80 (after a small heart attack). This went on for a some years. She complained of muscle weakness, pain and cramps in her legs. She also had sleeping problems. Her doctor refused to see the connection. He was on the same kind of medication and,therefore ,my mother took that as a guarantee that the medication was beneficial and harmless. After having read a book by Uffe Ravnskov (his first) and listened to some patient stories that I translated from English to Swedish, she stopped. She will soon be 94 and enjoys life. I think it`s terrible how the pharmaceutical companies, medical staff and authorites have brainwashed people. I hear statin-stories every day because I am interested (I am retired and have no connection to health care). When I ask if their problems have been reported as suspected adverse effects, the all say – no. They look very surprised. It`s as if they have never heard of such a thing. It`s unfortunate that our authorities don´t inform them (on TV, in newspapers, magasines etc). If you ask them – they tell you – it`s on their website! I am sure there are more adverse effects, and they are more common, than what`s recoreded in the package insert. Please continue the good work not only for the benefit of the patients and the tax payer but also to show not all those in the medical profession have lost their integrity. It is disappointing that for many hospitals statins are prescribed as a main means for heart disease prevention. Years ago when I went to see my doctor this is what I was basically told. I’ve heard similar from other. From what I’ve learned here on this sight and elsewhere, such as Dr. Davis’s cardiac prevention work, so much more can be done when it comes to cardiac prevention. As safe and as effective as some advocate old statins to be, I’ve sometimes wondered why then are they not allowed to be sold over the counter? Maybe they shouldn’t be prescribed. Let people buy them off the shelf. If that happened though, I wonder if the belief in statin’s would remain as high. 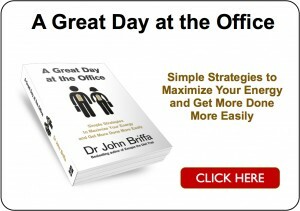 I see that Fiona Godlee wants to meet you Dr Briffa: http://www.bmj.com/content/348/bmj.g3306/rr/699323 !!!! Thank you for the good fight . For those who have not yet read it may I commend the article that appeared in Open Journal of Endocrine and Metabolic Diseases, 2013, 3, 179-185. “The Ugly Side of Statins. Systematic Appraisal of the Contemporary Un-Known Unknowns”, By Profs Sultan and Hynes. In this article the under reporting of findings on statin major adverse effects is described as a “Scientific farce”. Perhaps the most sinister and disturbing impact of these nasty drugs is the fact that the authors point out that statins are associated with triple the risk of coronary artery and aortic calcification. This comment was sent to the BMJ Rapid Response on statin Adverse Reactions. It was REJECTED as of 31/05/2014. I am not surprised; it confirms my belief that any comment relating to the neurological adverse reactions to statins (polyneuropathy, Parkinson’s, ALS, transient global amnesia (TGA), Alzheimer’s, etc) is rejected while flawed articles (missing critical data on therapy, cholesterol levels and the time-line) suggesting statin benefits are regularly accepted. I would like to draw attention to the neurological effects of statins. Pfrieger and colleagues have drawn attention to the importance of cholesterol in neuron synapse activity in a series of reports (Science. 1997 Sep 12;277(5332):1684-7; Science. 2001 Nov 9;294(5545):1354-7.; Curr Opin Neurobiol. 2002 Oct;12(5):486-90) while Muldoon and colleagues have drawn attention to reduced memory effects (Am J Med.. 2000 May. 108(7):538-46; Am J Med. 2004 Dec. 117(11):823-9). In particular the association between low cholesterol, Alzheimer’s (AD) and statin use concerns me. Lorin’s review published in his book “Alzheimer’s Solved” (an extensive review of some 3000+ references) associates low cholesterol with AD and statin use. The AD/PD 2009 conference raised the query – Are We Experiencing an Alzheimer’s Epidemic? Incidence Has Soared Enormously in the 85+ yr-old group from 2% in the 1960s to and expected 50% in the near future! The particular paper that raised queries was the report by Solomon and colleagues (Dement Geriatr Cogn Disord 2009;28:75–80). This study attempted to prove that high mid-life blood cholesterol levels were associated and causal for AD. It used data from a Kaiser Permanente cohort with updated follow-up information. The authors examined the full range of cholesterol values (not just high cholesterol, 240 mg/dl, ~6.0 mmol/L), to determine whether even moderate elevations may be associated with increased dementia risk. The data provided was extensive but excluded all data on treatment and subsequent cholesterol levels. Patient records without treatment data? I find that very odd; ask yourself why such data was not presented or was it simply redacted to obtain acceptance for publication? Tables 2-4 provide the data on which the study concludes that high mid-life cholesterol is associated with AD. However, if the row titles are replaced with guideline recommended treatment (which was not available), neither the numbers nor the statistics change but a very different interpretation can be made. χ2= 7.92 p= 0.0049	i.e those patients with cholesterol level >239 mg/dl (>6 mmol/L), (and that would be treated with cholesterol lowering drugs, possibly for decades) are more likely to become demented (Alzheimer plus vascular dementia)! After all the vast majority of statin takers (80-90% or 99% according to some) do not suffer adverse reactions so would continue to take them for 2-3 decades. This raises questions regarding the absence of subsequent cholesterol levels and therapeutic treatment during that 2-3 decades. Why was this data left out? Was it because Kaiser Permanente has to negotiate with Big Pharma on drug prices? Was it because Big Pharma would not be pleased at any association of statins with AD? The current controversy suggest that they would not. The most interesting aspect of Solomon’s report is that many major UK NHS Trusts probably have sufficient data over the last couple of decades to repeat Solomon’s study. This comment was sent to the BMJ Rapid Response on statin Adverse Reactions. It was REJECTED. I am not surprised; it confirms my belief that any comment relating to the neurological adverse reactions to statins (polyneuropathy, Parkinson’s, ALS, transient global amnesia (TGA) and Alzheimer’s) is rejected while flawed articles (missing critical data on therapy, cholesterol levels and the time-line) suggesting statin benefits are regularly accepted. Will it be done? I suspect not – too much money and statuses at stake! I am unable to ‘Like’ your response because a BMJ pop-up informs me there has been an error. At 11am on Saturday 31 May there were 835 ‘Likes’ for your response.